Wattle Downs resident Simon James is using a scholarship from the Manurewa Local Board's Lifelong Learning Fund to learn new musical skills. 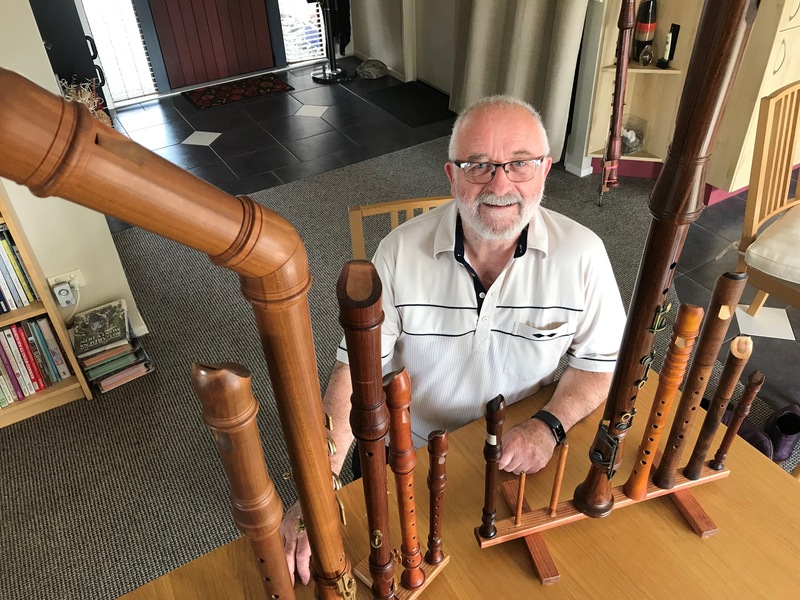 It’s been several decades since Simon James first picked up a recorder, but his love for the much-maligned instrument is as strong as ever. “Like most people, I started to learn the recorder at school. I was about seven and really fell in love with it and played for about two years before changing to a trumpet,” says the Wattle Downs resident and recipient of a scholarship from the Manurewa Local Board through its Lifelong Learning Fund. Under his expertise, the music that comes out of the recorder is a far cry from the high-pitched screech many of us remember from primary school and he’s the first to admit it’s got a bit of an image problem. The array of different types of recorder is also mindboggling – from standard size right through to the sub-contrabass, which stands at more than 1.8 metres (six foot) tall. After many years of playing, Simon is keen to continue to learn some new skills so he's heading to university next year to take on music composition classes as he works towards a musicology degree. He’s able to do that thanks to funding from the local board’s Lifelong Learning Fund. “I am very grateful for the funding as these courses are quite expensive so I am delighted to have the support," he says. Manurewa Local Board member Stella Cattle says the local board recognises the importance of lifelong learning. The local board is partnering with Age Concern Counties Manukau on the Lifelong Learning Fund initiative. Applications close 28 February 2018. Manurewa Local Board wants to provide opportunities for people over 55 to engage in learning activities for their own wellbeing. The fund has up to $2,000 available for people over 55 who live in the Manurewa Local Board area and plan to participate in learning activities in the next 12 months. This can be a course, training, participation in a wānanga or a conference, or event in New Zealand or overseas.